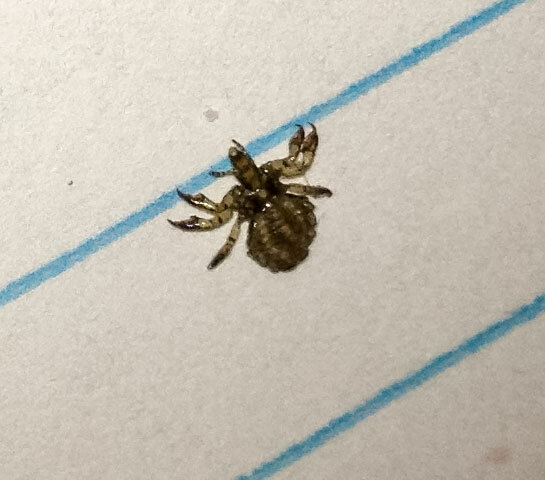 Is it a tick? NO, IT’S NOT A TICK! TICKSPOTTERS REVIEW. Tick 'look-alikes' sometimes fool our TickSpotters. The good news here is no tickborne disease! The bad news, in some cases, just something else scary to worry about. Usually though it turns out to be no real worry at all. 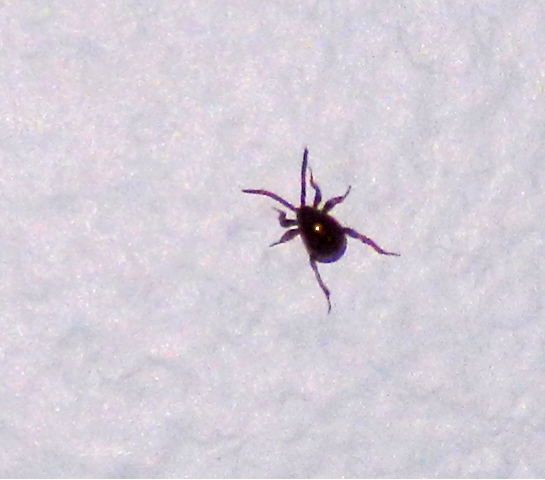 Here's a collection of TickSpotters "Not A Tick" images to review. If you're in doubt, check this out before hitting that submit button to TickSpotters! 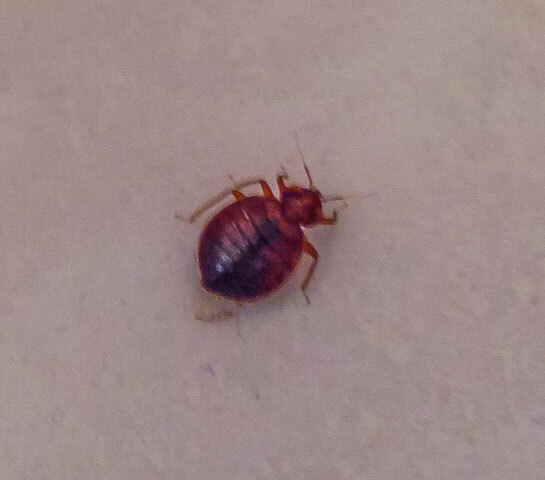 Good news...as scary as that looks, it's definitely not a tick! 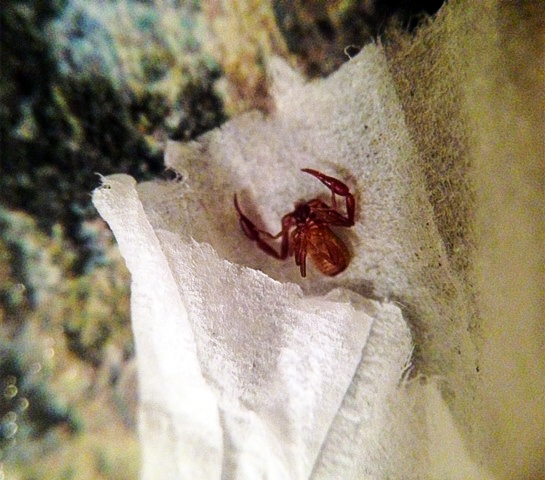 That's something called a pseudoscorpion. They are harmless to you but are predators on other insects. Your picture is definitely not a tick. We see 6 legs and 2 long antennae... that makes it an insect! 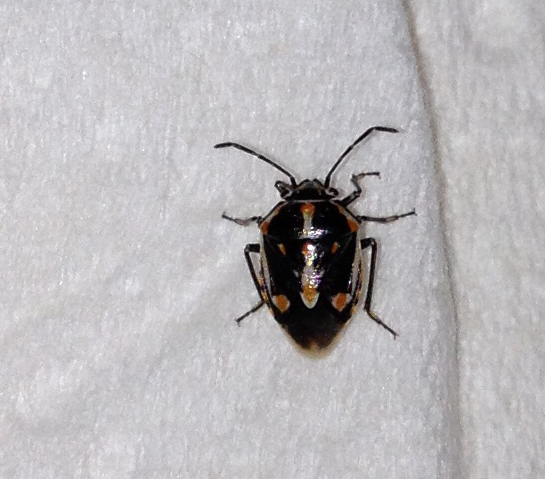 It's likely a type of harlequin bug in the order Hemiptera. Nothing to worry about this time. 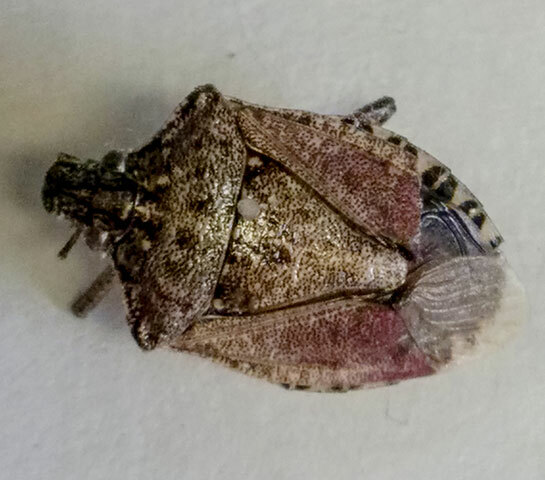 NOT A TICK... but it is a brown marmorated stink bug. In this tick look-alike picture, you can't count this bug’s legs or see it’s antennae but one clue is the tip of a wing you can see folded over the body. Ticks don’t have wings! 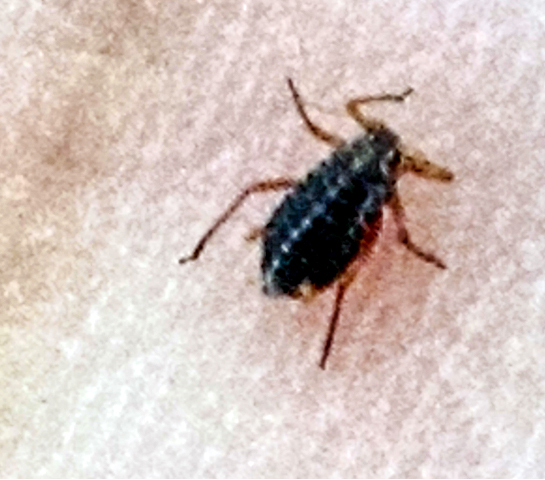 This invasive pest has become common across North America, devouring crops and invading homes—worrying farmers and driving homeowners crazy. Your picture is definitely not a tick. We see 6 legs and 2 long antennae...that makes it an insect! 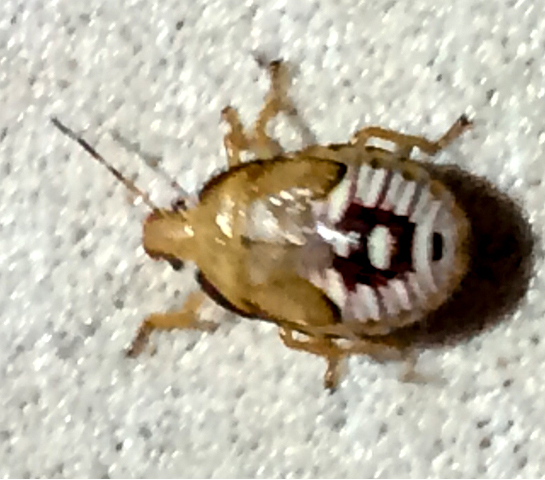 This appears to be some type of immature plant bug. No worries from this. We see 6 legs and a pair of antennae. That's a hog louse (Haematopinus suis), NOT a tick. Note that its head is more than twice as long as it is wide, which is a key identifying feature of this louse. FYI, there are horse lice, cattle lice, hog lice...even human lice. Lice can be very host specific! Hog lice can ingest significant volumes of blood from their host, especially piglets, and the feeding sites can become irritated. However, there's little risk to you from this creepy bug. We're happy to tell you that, at least this time, what you've encountered is definitely not a tick. It's a common weevil that many people seem to mistake for a tick. We see 6 legs, 3 body regions, and a pair of clubbed antennae. Larger, adult stage ticks would have 8 legs, 2 body regions, and no antennae. 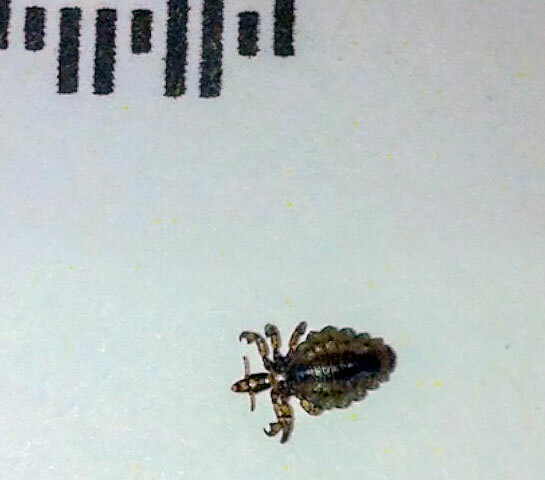 While it may be a tick look-alike (sort of)...that is definitely not a tick. It appears to be an immature aphid. Your picture is definitely not a tick. We see 6 legs and 2 long antennae...that makes it an insect! 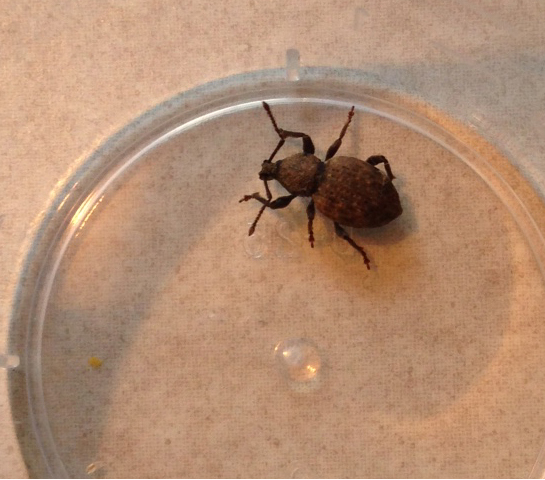 This is some type of spider beetle, no worries from this. That's not a tick! It's a head louse. Note the 6 legs (3 per side). Happily, there are very effective head louse treatments available over the counter. We recommend that you talk with a pharmacist but one excellent product is called Nix for lice. 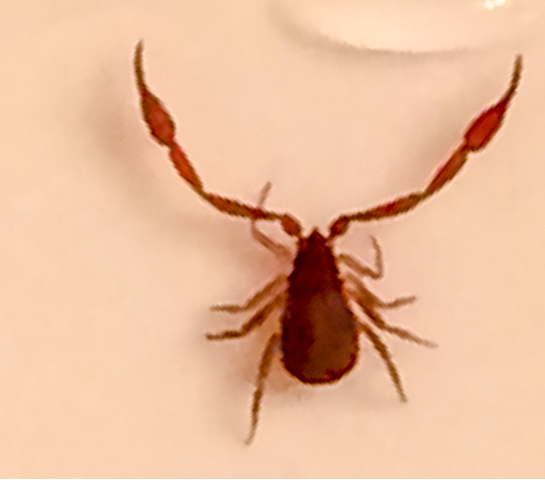 Another pseudoscorpion, on the move it appears. Still looks scary but definitely not a tick! They are harmless to you but are predators on other insects. YIKES!!! That’s NOT a tick but it IS a crab louse (aka. pubic louse). Definitely not something you want to find on you or your "closest" friends. 3 legs on each side and antennae are the give-away. 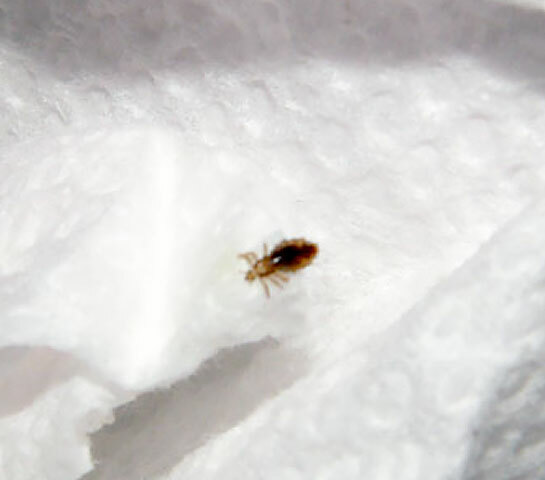 While you might catch crab lice from toilet seats or bed linens, it’s unlikely because these tick look-alikes can survive only a few hours off the host. Despite the urban legends, they’re not known to transmit any pathogens.